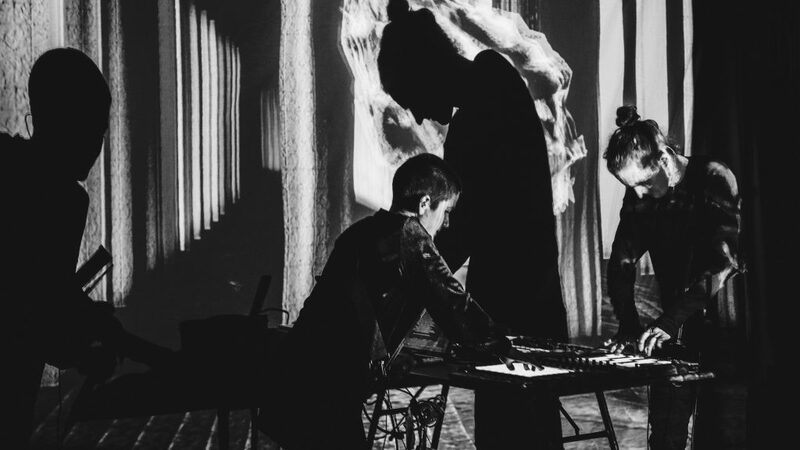 ARIADNE is an experimental sacred music and new media art duo whose work explores the intersection of mysticism, dream analysis and the failure of digital systems through a synthesis of music performance, digital and interactive art, poetry and dramatic experience. Much of ARIADNE’s work consists of interactive audio/visual performances, which employ custom built hardware and software, real-time 3D animation, and machine learning to create immersive and captivating experiences. ARIADNE’s span of work includes feature-length audio/visual albums, web-based virtual reality, and a/v installations. Musically, ARIADNE’s work contrasts soprano vocals and medieval and renaissance polyphonic textures with experimental electronic, harsh noise and industrial music gestures. ARIADNE’s work has been presented nationally at the 2016 CURRENTS New Media Festival, Sante Fe; MIT List Visual Arts Center, Cambridge; Elastic Arts, Chicago; Gamut Gallery, Minneapolis; Big Pictures Los Angeles; Feverhead, Columbus; Harvestworks, New York; Reverse Gallery, New York; IDIO Gallery, Brooklyn; Superchief Gallery, Brooklyn; Bunker Projects, Pittsburgh; DFBRL8R Performance Art Gallery, Chicago; Gallery 788, Baltimore; among others. ARIADNE has been invited to lecture and perform as Visiting Artists at School of the Art Institute of Chicago; University of Utah College of Fine Arts, Salt Lake City; University of Denver – Emergent Digital Practices; Prichard Art Gallery – University of Idaho. ARIADNE is comprised of Christine Papania and Benjamin Forest. Christine and Benjamin are both graduates of Indiana University Jacobs School of Music.